A woman who stole tens of thousands of pounds from people after offering to do legal work for them has been jailed. Margaret Barton was sentenced to 32 months behind bars at Bolton Crown Court for four offences of theft which involved her pocketing a total of £56,634. The court heard how Barton, of Brookland Avenue, Hindley, became involved in a divorce settlement and wills after her legal knowledge convinced her victims she was a solicitor despite being thrown out of the profession in 2002. She would then take on the cases and begin sending some of the money before withholding large amounts and pleading financial difficulties when her victims attempted to recover what they were owed. 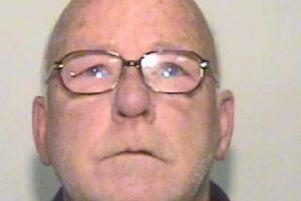 The 58-year-old, who has a past conviction for fraud, pleaded guilty at the magistrates’ court last month to the offences but was sent to the crown court for sentencing by a judge. The hearing was told her crimes were not to fund a lavish lifestyle but a foolish way of trying to resolve her own financial difficulties. The court heart how Barton kept £20,000 from a client’s divorce settlement. She trousered the cash which should have been paid to Adele Ellis from husband Paul, who was the man who first alerted police to the 58-year-old’s offending. Bolton Crown Court heard she also took almost £13,600 from Gail Pacey over a will and then kept a total of £23,042 from sisters Brenda Schofield and Sheila Clark while working on their father’s will. Prosecuting, Clare Thomas told the court the offences carried out between 2014 and 2016 followed a similar pattern. Miss Thomas said: “The victims believed she was a solicitor from the impression she gave of herself, though they never specifically asked if she was. “They have received a portion of the money but a part of it has been outstanding. In one case when the victim requested the rest of the money the defendant said the banks had made mistakes and sent it to another account in error. The court was told Barton became quite good friends with one of her victims, while the two sisters involved in their father’s probate case contacted her after seeing an advert for a legal firm she claimed to run at a funeral director’s. Defending, Anthony O’Donohue said Barton was extremely remorseful and struggled to cope with difficulties such as financial hardship in her life. Mr O’Donohue said: “She is deeply ashamed, particularly with respect to Gail Pacey as they had developed quite a close relationship. “For many years she worked in the legal profession and for a significant period of time was a diligent employee. What seems to happen is when significant financial difficulties arise her method of coping is to take money inappropriately and dishonestly and hope she will be able to repay it. The court also heard Barton, who also went under the name of Margaret Kirkham, had previously been sent to jail for obtaining money by deception, which Judge Timothy Clayson said he had no choice but to take into account. Sentencing her, he said: “These people all trusted you to sort out their affairs and that was broken. “This is obviously a high-culpability offence due to the degree of planning involved in holding back this money and the way you fobbed off the individuals concerned with various excuses.